Illumination is essential to the Tom Ford face. The silky fluid gelee texture can be used on any skin tone to create strobed luminosity in your desired way to illuminate - radiant mettalic bronze or ethereal glacial glow. Featuring aloe leaf juice, the drops highlight and define bone structure, creating perfectly balanced symmetry with smooth application. Blends flawlessly onto skin for instant glow. 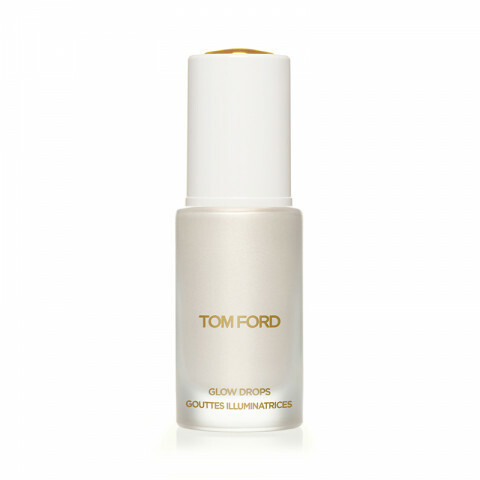 Blends easily into Tom Ford Liquid Foundation for a sculpted look. Light is softened and diffused for a smooth finish.